When the lovely people over at Born Pretty contacted me to review some of their products I immediately jumped at the opportunity because they have some great products for such great prices! While browsing through their site I couldn't help but notice that the Velvet Finish Moisturising lipstick* packaging looked identical to Topshops one so I decided to try out one of them and got it in the shade 02. 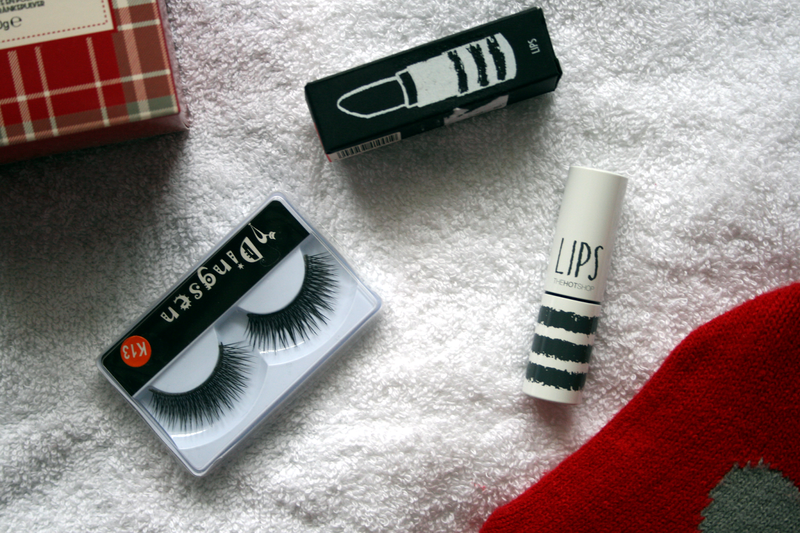 (View more like this here) I also picked up the most gorgeous style of false lashes*. (View them here) I adore false lashes and recently have even started getting into individual, I find that if you want to get all dolled up your makeup just isn't fully finished without some falsies to tie the look together! I decided to take a quick snap of my makeup before I got changed into my outfit. As these lashes are quite long and dramatic I kept my eye makeup to a minimum only adding Benefit Rockateur into my crease and some winged liner. I have to say I really adore these lashes they definitely are a statement piece to the eyes! They also stayed on all through out the night and didn't bother me once. The lipstick has decent staying power but as it's almost like a gloss rather than a lipstick I did have to top it up a few times but honestly I have nothing bad to say about it and I adore the colour. The lovely people at Born Pretty have also given me a discount for my readers for 10% off your purchase with the code JRDH10 and don't worry it's free international shipping!! You can visit the website here.